Montevideo is an odd mix of beautiful plazas and pedestrian zones abutting some seriously depressed neighbourhoods. 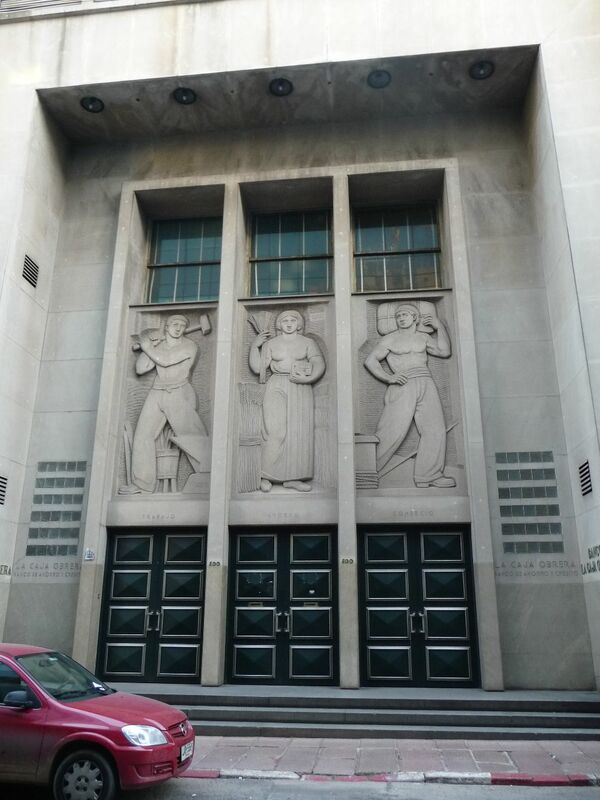 These multifaceted neighbourhoods host corporate offices, government buildings and the derelict graffiti covered relics of colonial splendor. In Ciudad Viaje, the graffiti is an incoherent salute to the poor and a desperate cry for liberation from gentrification, a ubiquitous and seemingly unstoppable force; construction and restoration are everywhere. Increasing numbers of foreign investors are descending on Uruguay because of its stable government, the ease of doing business there and the automatic qualification for passports and citizenship, which the current government offers. 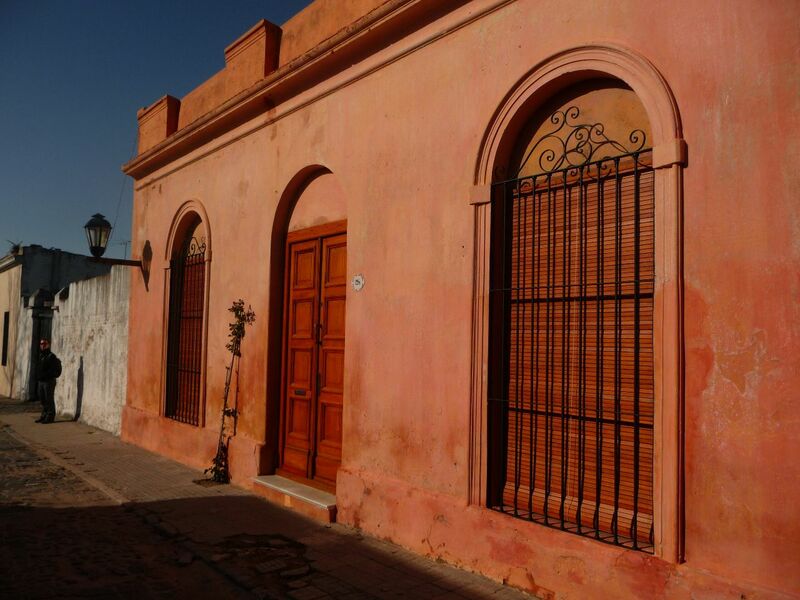 A BBC article published last year http://www.bbc.co.uk touted Uruguay as popular with foreign investors looking for beach homes and colonial buildings, both of which are plentiful. However, certain areas, including much of Ciudad Viaje, are still works in progress; though fine to walk around during the day, it is largely a no-go zone at night once the offices have emptied. 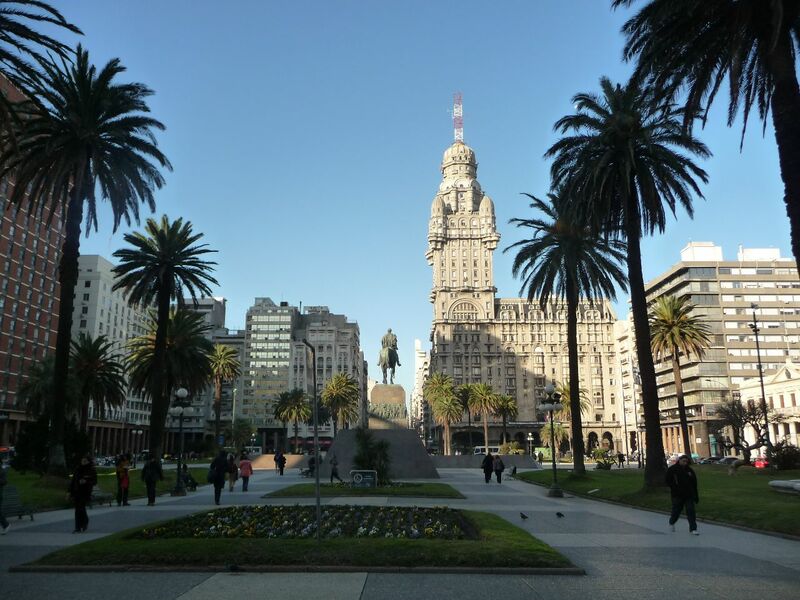 Although Montevideo is minute in comparison with some of the mega-cities in neighbouring Brazil and Argentina, it is a delightful place to visit and definitely deserves to be visited. The centre, especially within a few blocks of Plaza Independencia and large sections of Ciudad Viaje (with the exception of the bleak sea front) are also worth exploring during the day. The street markets, churches and plazas the most beautiful of which is Zabala make wonderful places to while away an afternoon. 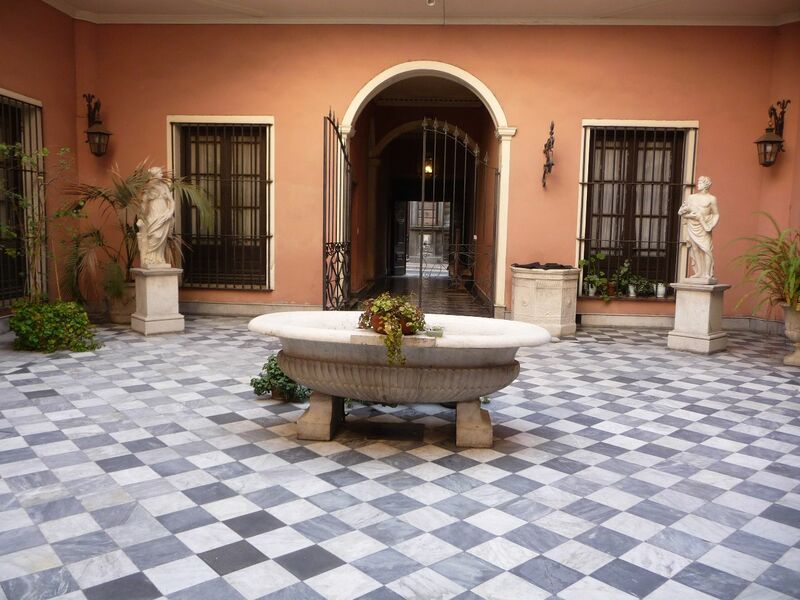 It is also possible to visit the Mausoleo Artigas, the point of the Plaza Independencia, built in memory of José Artigas who repelled Spanish invaders from 1811 before he was exiled to Paraguay where he died in 1850. Although Artigas’ actions did not completely end foreign intervention in the affairs of Uruguay (the region came under the control of Brazil until a coalition of Orientales and Argentine troops finally liberated the region in 1828). 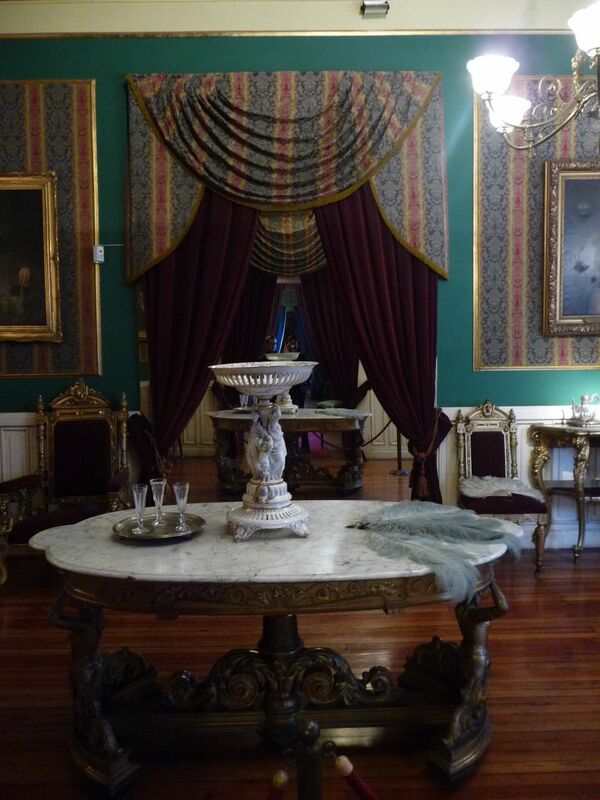 Two notable museums include the Casa Rivera, which houses a fantastic collection of 18th century art displayed in moody burgundy rooms as well as some indigenous artefacts and the Museo Rómantico which contains a treasure trove of furniture, paintings, chandeliers, silverwear and crockery, as well as the personal belongings of wealthy European settlers. 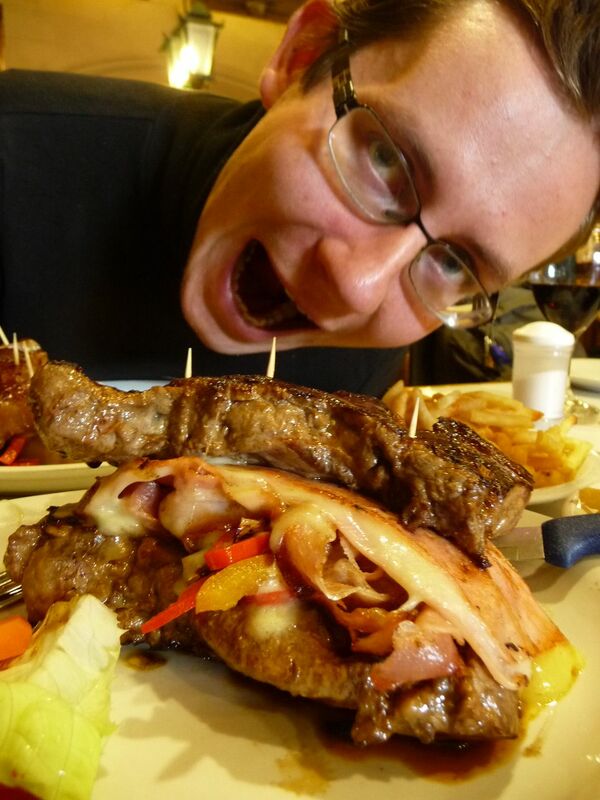 After all that exploration we had worked up a considerable appetite and were very pleased to find that Montevideo delivered on the culinary front. Lunchtime is the best time to check out the plato del dia (set menu) offered at almost every establishment in town, these offers allow you to eat three courses, wine beer or a soft drink and tea or coffee incredibly cheaply. Perfect! 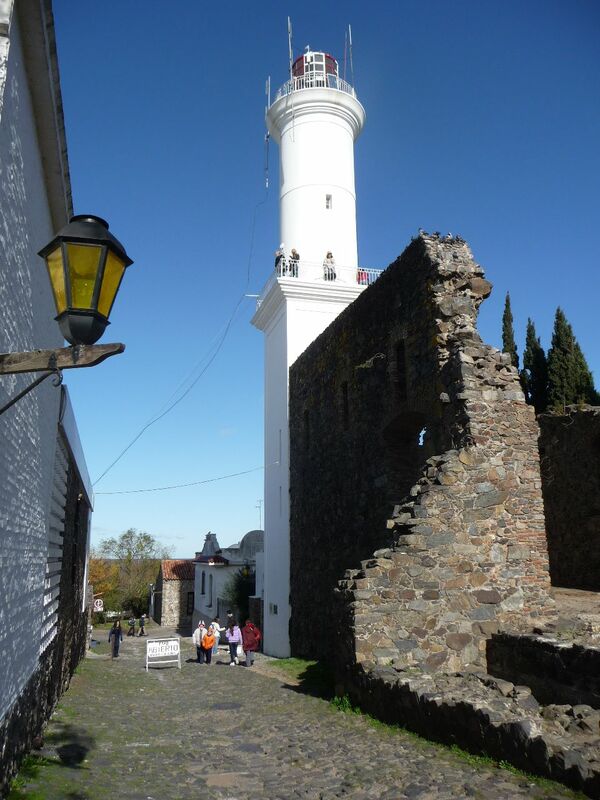 That was us on the ferry half way from Buenos Aires to Colonia del Sacramento in Uruguay. 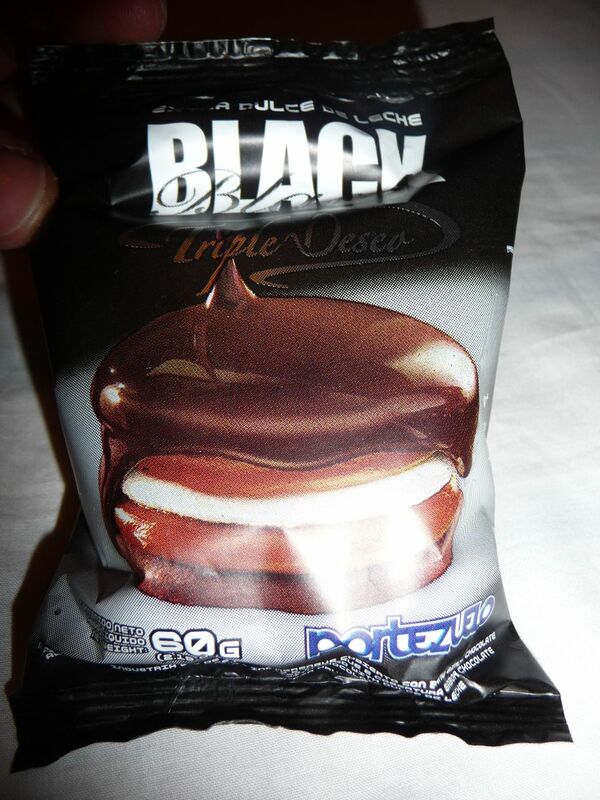 Murky, chocolate coloured Atlantic seawater was swilling around the ferry, forming waves that filled us with nausea. The breakfast, which had seemed like such a good idea earlier that morning, was threatening to come back to greet us, which was a concern as there was a distinct absence of sick bags on the vessel. Looking out the windows, as sky and sea rapidly exchanged places, made it difficult to do anything but grip the seat. The crew had put on a Shakira video which, presumably, was supposed to distract us during the choppy crossing. Our only comfort was the Schadenfreude of knowing that many other visitors would have opted for the better known ferry service operated by Buqebus, which takes 3 hours; triple the suffering of our express ferry. 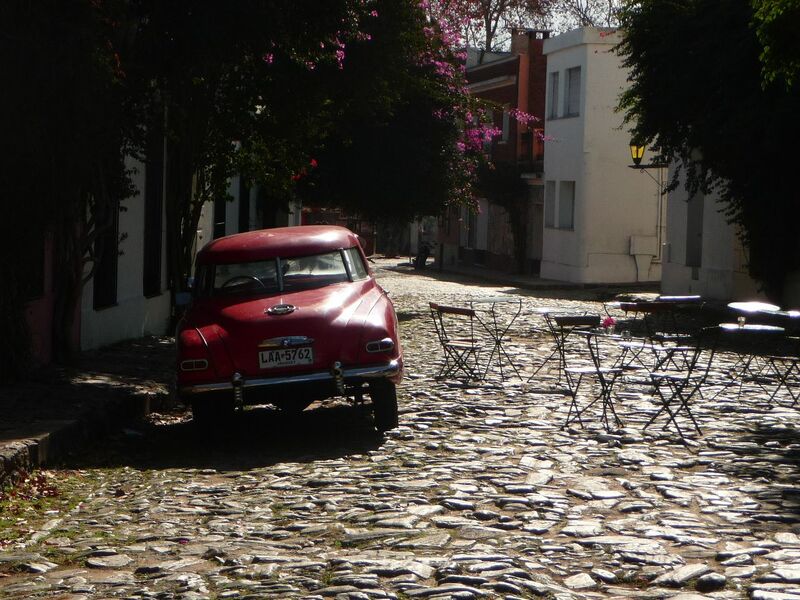 Greeted by blustery weather when we docked at the small port in Colonia del Sacramento, we set about finding our lodgings for the night before exploring the beautiful cobbled streets and multi-coloured colonial buildings. 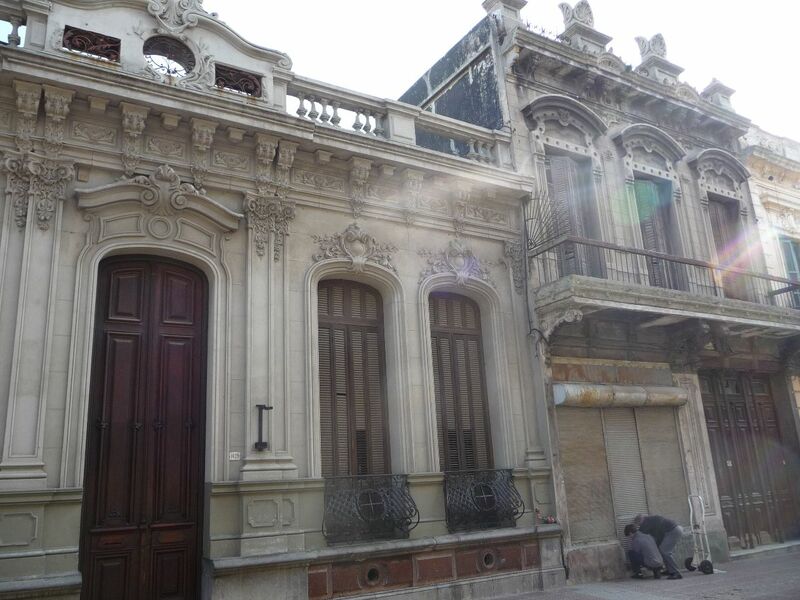 It was easy to see why the town has become increasingly popular with Argentines wanting to escape the traffic and noise of Buenos Aires for the weekend, as well as Brazilians; on every street there was at least one colonial property for sale. 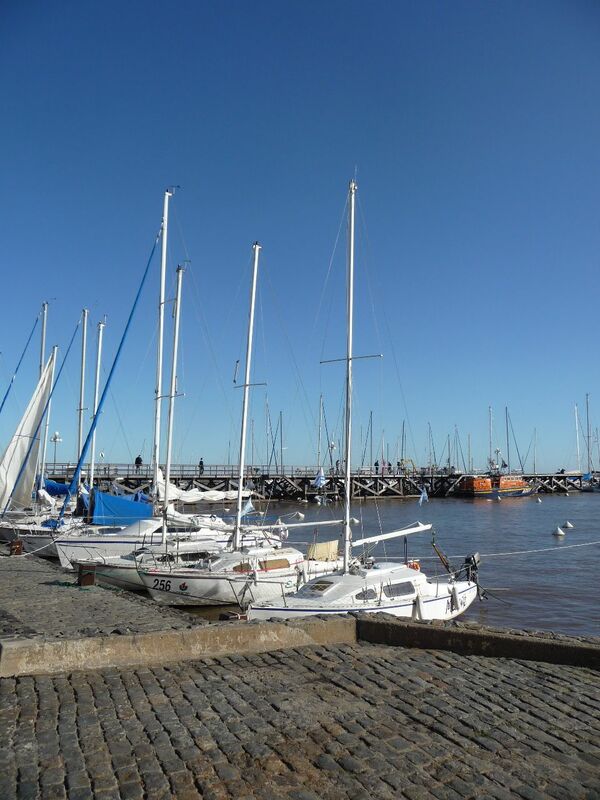 This small town in Uruguay is the complete opposite of Buenos Aires with its calm pace and maté sipping residents it is a great place to get some sea air as you walk past the yachts in the harbour. 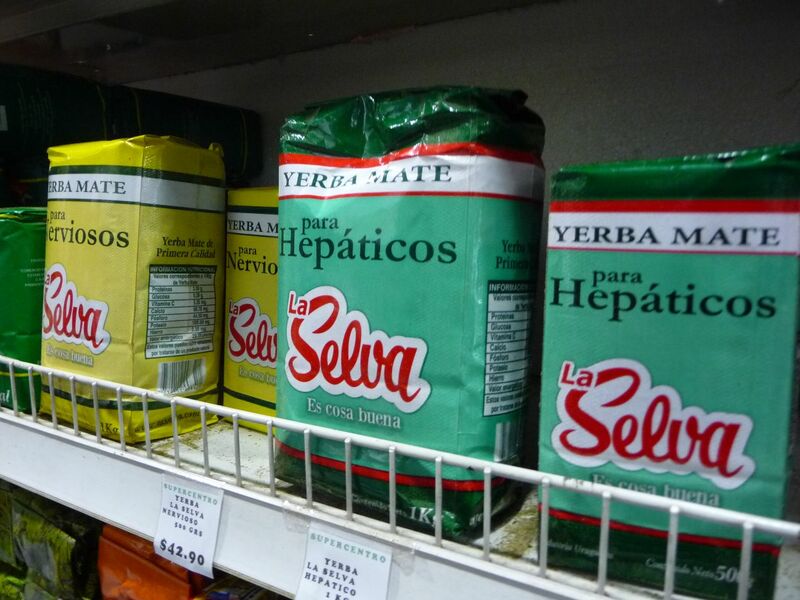 We were amazed at the Uruguayan (and to a lesser extent the Argentine and Paraguayan) love affair with yerba mate. 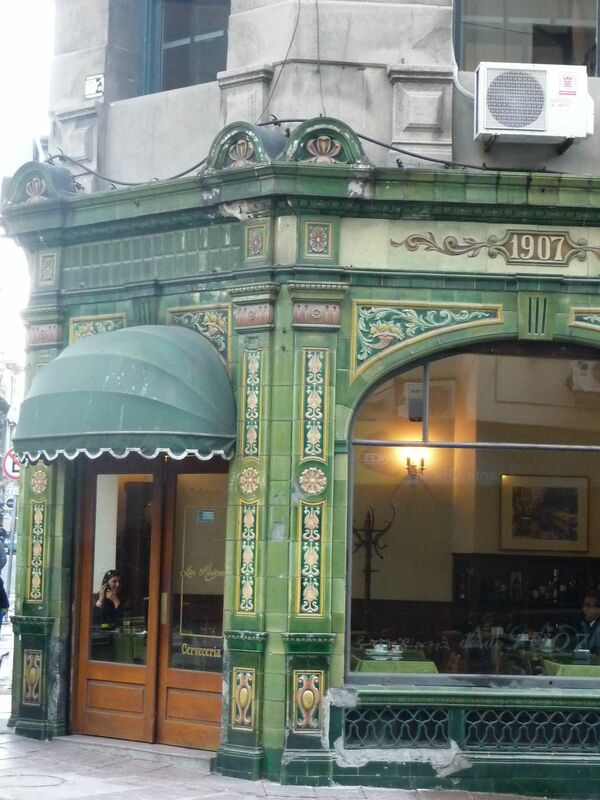 Uruguayans sip this hot drink at every opportunity; it seems to be a national addiction. Many Uruguayans carry a thermos flask of hot water everywhere they go, so it is possible to top up the cup on a street corner, a park bench or while waiting for a bus. A kind of bitter green tea, it is brewed in small cups made of wood, or metal and often covered with leather and sipped through a silver ‘straw’ (aka bombilla). There are even specially made leather bags for transporting the paraphernalia and we frequently observed locals carrying two handbags: a mate bag and a normal handbag. That is what you call commitment to the habit, a habit which I could not imagine ever taking off in our throw away coffee cup, tin can and plastic bottle culture. 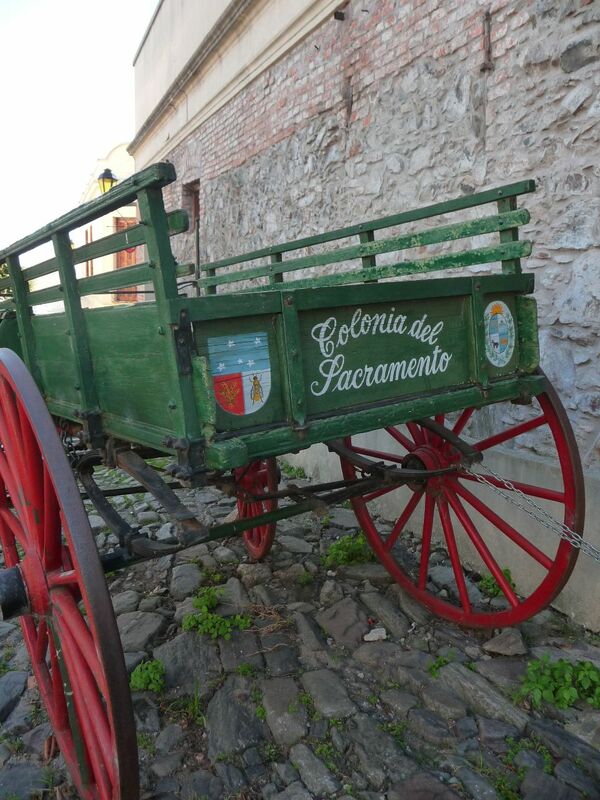 Ideal for exploring on foot, Colonia, as it is known by locals, is popular for its cafes and restaurants where it is possible to sample chivitos, the nation’s favorite snack. Thin steaks are piled on a bed of French fries and topped with eggs, salad or cooked vegetables and sometimes bread. 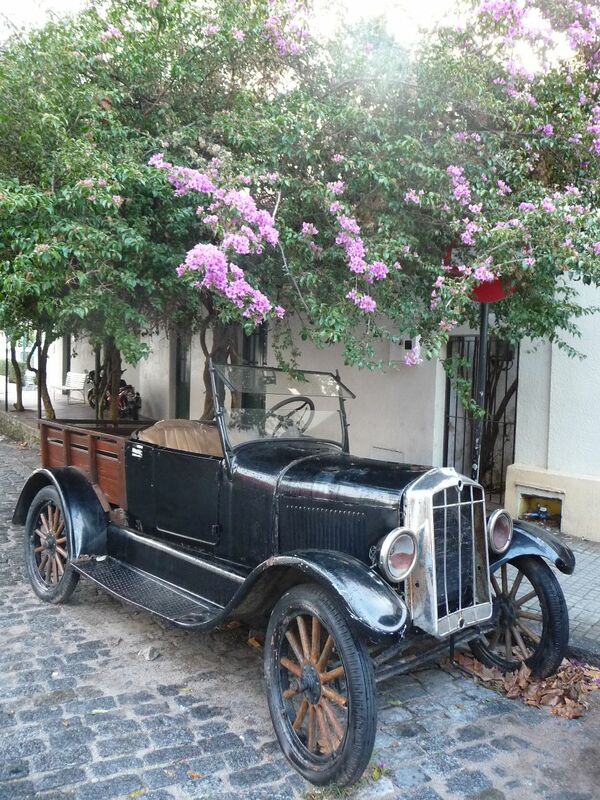 After two days of relaxation in Colonia, it was time to travel three hours across the lush green countryside to Montevideo, the capital of Uruguay, to check out what delights it had to offer.